Just some of the things you can teach or take part in at Camp! There’s a job for everyone at camp. 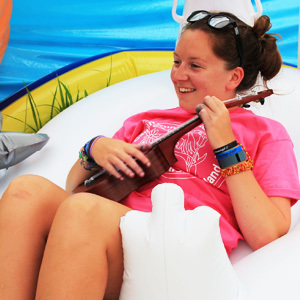 Whatever your hobby, skill or passion is, be rest assured there’s a place for you to teach it at camp. We have everyone covered. Amazingly, camps work in number of areas, such as: waterfront, performing arts, outdoor adventure, land sports and music. If you’re into Soccer, Horse Riding or Guitar there is an amazing place leading this at camp. Or, if you like Model Making, Culinary Arts, Candle Making or Video Game Designing, equally there are loads of jobs available within this as well. There’s hundreds of activities available, so here’s a good selection for you to browse! Fancy spending your summer as a High Ropes or a Rock Climbing Instructor? 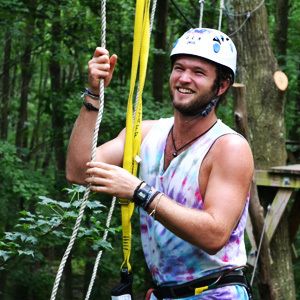 If you can belay someone, then a job on the ropes at Summer Camp might just be for you! Ready to channel your inner Robin Hood? 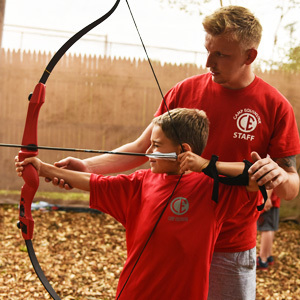 If you're looking to spend the summer teaching archery at camp in America, this is your chance! Coaching Football at Summer Camp in America is a big deal! You'll need to get used to calling it Soccer, but most camps have their own teams. 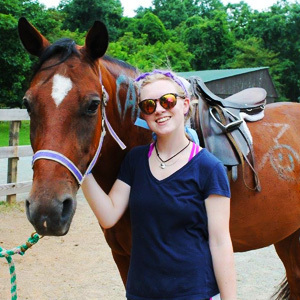 Teaching campers how to ride and working in the barns with the horses could just be a perfect way to spend a summer! Camps are calling out for horse riders to work at their camp. Are you a strong swimmer or have you got a swimming coaching qualification? Summer Camps in America are always looking to hire strong swimmers! Looking for something a little different? Magic and Circus Skills might just be for you. Whilst they're very specialist areas, any relevant experience will be perfect for camp! 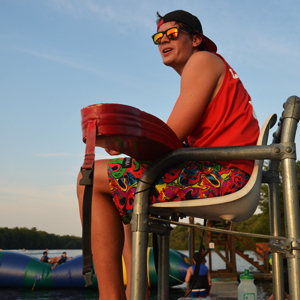 Lifeguarding is one of the most sought after jobs at Summer Camp. If you have a lifeguard qualification and you're a strong swimmer, you'll be in demand! 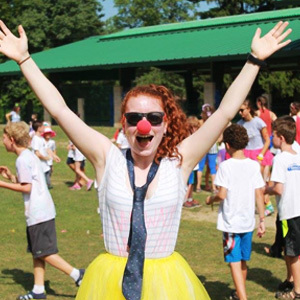 Whether its singing, acting, or dancing that you love, you'll find plenty of opportunities to be on stage at camp! 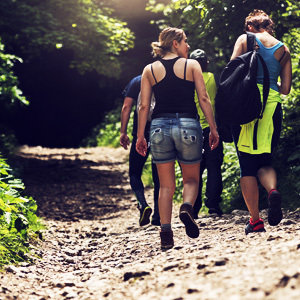 If you think there's no better job than living and working out in the sun at camp, they why not find out how to become an Outdoor Instructor? Love music? No matter what you play or what music you're into, you could be perfect for a Music Instructor job at Summer Camp! Activities on the lake are a huge part of life at Summer Camp. 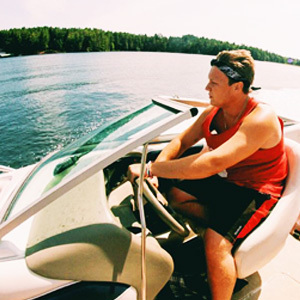 If you have experience sailing or motorboat driving, apply today as you could end up with the perfect summer job! 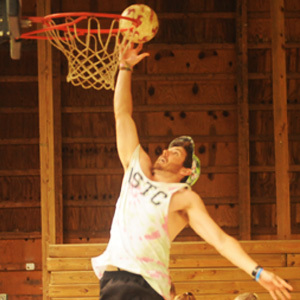 Whatever your level on the court, we can help you find a camp job teaching Basketball this summer. If hockey is your thing - ice, roller, or field - then we need you to teach at Summer Camp! 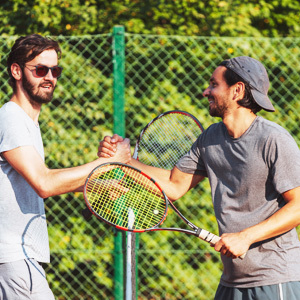 Why not teach tennis at camp? 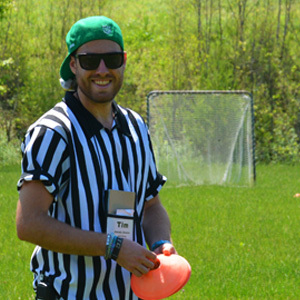 Whether you're a fan of a game in the local park you're a qualified instructor, there's a job for you at camp! Have you got experience behind the lens? 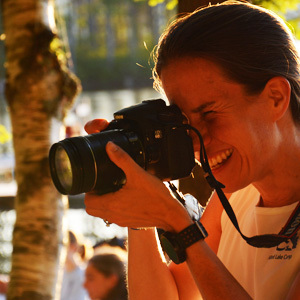 Find out how you can spend the summer teaching campers everything you know about photography or film. 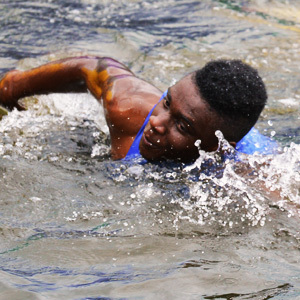 Water sports feature big time at Summer Camp. 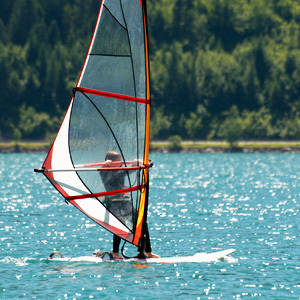 If you can windsurf, wake board, or waterski, then you could be a great fit for Summer Camp.